Zoë will perform in the world premiere of David Walliams’ Gangsta Granny at Poole’s Lighthouse Centre for the Arts from 24-28 May. Birmingham Stage Company, bring their world premiere of David Walliams’ Gangsta Granny to Lighthouse, Poole’s Centre for the Arts from 24-28 May. The production brings a big opportunity for 18-year old local dancer Zoë Crothall, who has been chosen to perform a solo number in the show when it comes to Poole. A former student of Bournemouth & Poole College where she studied a Btec Level 3 in Dance, Zoë is currently studying a foundation degree in performing arts majoring in dance at the Jellicoe Theatre as well as a teaching qualification with the ISTD (Imperial Society of Teachers of Dancing) and IDTA (International Dance Teachers Association). 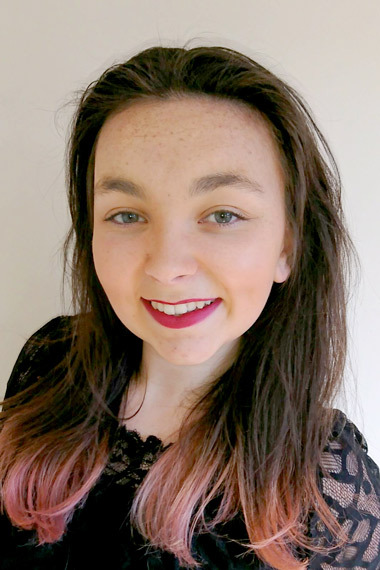 In addition, Zoë continues lessons at the Janson Modern Stage School where she specialises in a variety of dance skills and is an assistant teacher at Disco Mad Dance Academy in Canford Heath. “I became aware of the role from Rachel Foster, the principal of Disco Mad Dance Academy, and she then put me in contact with the Young Dancer Co-ordinator from Birmingham Stage Company. David Walliams’, who is one of the judges on Britain’s Got Talent and creator of the ground-breaking comedy series, Little Britain, is now the best-selling author for children in the country. Gangsta Granny, published in 2011, is his most popular book going straight to number 1 in the children’s book charts and has been translated into no fewer than 30 languages. The story of Ben and his Gangsta Granny is a must-see for all families – both laugh out loud funny with some brilliant comic scenes but also containing some very moving and truthful things to say about family relationships. Tickets are on sale now from Lighthouse Poole ticket office on 01202 280000.